The Library Subscription databases (aka resources) on the Southeast Steuben County Library website, are found under by first clicking on the Reference link found on the library’s home page; once the Reference page displays you simply click on the Subscription Services link to access the databases. You can access the database to obtain information on a great variety of topics from health care to job searches from current events to history to religious topics to genealogy topics and more. The databases are part of what is known as the “Invisible Web” in that they are free for library patrons to use and contain credible information you cannot simply obtain via a Google search. The databases cost money, via subscriptions, for public libraries and public library systems to obtain and then their patrons are allowed to access the database (AKA online resources) for free usually by logging in to the database they wish to use with a their library card. The databases found via the Subscription Services link on the Southeast Steuben County Library Research page are paid for by the library & the Southern Tier Library System. You must have your library card number in hand to log in to all the Subscription Services databases except the Mango Languages database which only requires that you have an email address to register for access. A library card is required to access subscription services, unless otherwise specified. Getting a library card is free at your library. Simply bring in a photo ID and a piece of mail with your current local address. ART MUSEUM IMAGE GALLERY: This is a digital archive of visual works of art. 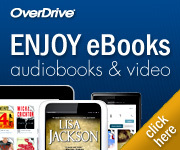 audiobookcloud.com (Previously called Tumble Talking Books): Audio books you can access from any Internet connected computer. BUSINESS INSIGHTS: ESSENTIALS: Investment profiles, business news, company profiles. EBSCO ANIMALS: Full text encyclopedia of animals. eLIBRARY ELEMENTARY: From encyclopedias to newspaper articles, this is a great place for kids to start their research. *Access is via library computers only. FUNK & WAGNALLS NEW WORLD ENCYCLOPEDIA: A wide variety of reliable source material. Gale Opposing Viewpoints in Context: This database puts modern subjects into perspective by offering articles and opinion pieces that show both all sides of a subject. GANNETT NEWSTAND: Detailed indexing helps users quickly find the news information they need from Gannett-owned newspapers. The indexing covers not only complete bibliographic information but also companies, people, products, etc. GENERAL OneFile: A one-stop source for full text news and periodical articles on a wide range of topics. Updated daily, from Gale and NOVEL. GROLIER ONLINE: Encyclopedias & encyclopedic multimedia resources for students of all ages, with AP news feed. HEALTH REFERENCE CENTER: Multi-source database providing access to full-text articles in nursing and allied health journals, plus a variety of personal health information sources, from Gale and NOVEL. HERITAGEQUEST ONLINE: Genealogical search resource. Includes scanned Census data 1790- partial 1930, Freedman’s Bank data, U.S. Serial Set and more. Funded with a generous grant from The Community Foundation of Elmira-Corning and the Finger Lakes. INFOTRAC NEWSSTAND: Full-text newspaper database. JOBNOW! Get free resume help, free cover letter help. Chat live with resume experts. Conduct a job search. Your next job could be waiting for you. Click the JobNow! link to the right to get started today. KIDS INFO BITS: An educational Gale database for kids. Learn about health, geography, history and so much more. LITERARY REFERENCE CENTER: Get information about thousands of authors and their work. Content includes thousands of plot summaries, essays of literary criticism, author biographies, book reviews, classic and contemporary poems, classic and contemporary short stories, and author interviews. MANGO LANGUAGES: if you’re a native English speaker you can learn a second language. And if English is your second language you can hone your English language skills. There are more than 40 languages to learn contained within this interactive database. NOVELIST: A reader’s advisory service that provides more than 135,000 fiction titles, including book reviews, first chapters and book discussion guides, an STLS* member library subscription resource, via Steel Memorial Library through Central Book Aid Funding. NY STATE NEWSPAPERS: Search/browse New York state papers. OCLC FIRST SEARCH: Database of library collections from around the world, an STLS* member library subscription resource. OMNIFILE FULL TEXT SELECT (H.W. Wilson): A database of full text scholarly journals. OXFORD ISLAMIC STUDIES ONLINE: This subscription is provided by a grant from the Bridging Cultures Bookshelf: Muslim Journeys. Gale databases (galesupport.com domain), as well as the Mango & JobNow! databases, do not require authentication via a library card.